Do you know why you show up at work every day? Inspired by a colleague, I recently decided to document my reasons for showing up at work on my personal page of our company’s wiki. A few people “copied” the idea and told me it helped them crystallize their purpose and helped them focus on their contribution toward the success of the organization. Some of them told me others outside our organization might be interested in this – so here it is. There is no copyright on the content 😉 so feel free to use it. Using varied and innovative approaches Pyxis substantially increases the level of performance of companies it serves. As such, Pyxis generates a high profitability that it re-distributes to its shareholder-employees and to the community. In line with the vision, mission, values and culture of the organization, I pledge to exercise strong leadership, to ensure the sustainability of our operations and to support the organization’s growth by deploying efforts and resources needed to achieve the objectives. Establish an Agile Business Intelligence consulting practice. Participate in the sales and marketing process for our products and services. 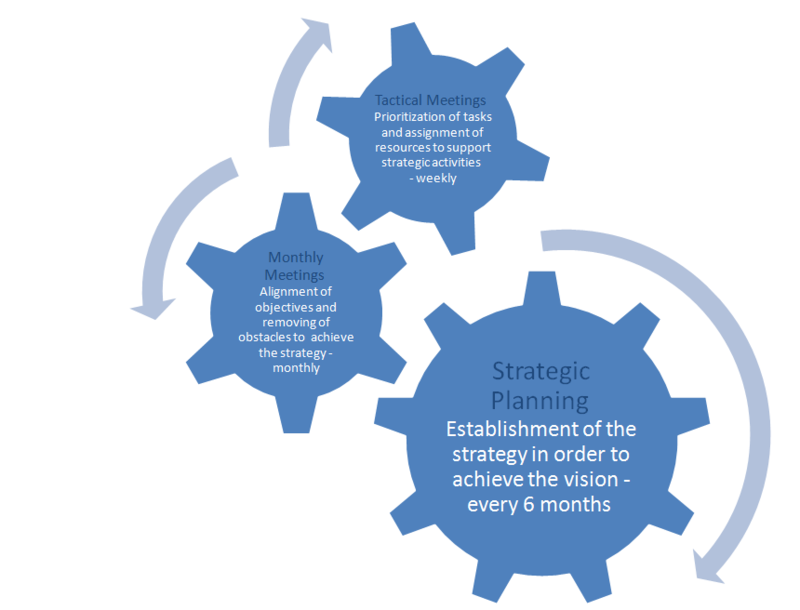 Lead the definition and implementation of our corporate strategy. Support the development and capabilities of my “golfers” through the Caddy process. I promise to take the leadership and work with all interested individuals in the establishment and implementation of a corporate strategy allowing the organization to achieve its objectives and its mission. I am unwavering in the individual success of my players, my caddy and the caddy team. Distorted reality or listening to the voice inside your head? I admit I was biased. It actually happened more than once. I stuck to a perception or to an earlier impression to judge someone’s message or their action. This isn’t a new phenomenon and I certainly am not unique but it is important to remind ourselves that the voice inside our head sometime leads us to incorrect assumptions about other people. Want an example? You don’t know Christina or Patrick but you heard that Christina is slightly hysterical and the Patrick is a slow learner. Then one day you attend a meeting where both Christina and Patrick have been invited. At some point, someone in the group makes a simple joke and Christina bursts laughing while others only politely smile. Later in the meeting, after a lenghty explanation by a colleague, Patrick asks a very simple question about something everyone else already understood. You leave the meeting thinking Christina is hysterical and Patrick seems dumb. Are these individuals as you perceive them to be or are you victim of selective perception. Did the events confirm your perception or did your brain play a trick on you looking for evidence of their peculiarities? As managers, we are often required to make judgements in order to take quick decisions so this situation is a dangerous one. I don’t believe we can eliminate this bias but awareness is important in order to properly assess our employees, our colleagues, and all people we work with. Helping employees grow without an HR department? Our organization is using an innovative human resource management approach inspired by the “golfer – caddy” relationship in golf. Although the approach isn’t fully matured and there are still adjustments to be made, I believe there is value in sharing the process. The management of special situations and salary determination lacked transparency and were perceived to be unfair. To address these emerging issues, the organization developed the “Caddy” process, a model of decentralized community-based human resource management. In golf, the caddy is the person who carries the golf bag, gives advice and provides moral support. A good caddy is aware of the difficulties, obstacles and peculiarities of the course, as well as the best strategies to play the course. The caddy is not the one who plays the game, the golfer is! The objective of the process is to support employees’ success and monitor their well-being. In addition, the caddy process is a way for all employees to participate in the management of the organization by helping their peers to receive the proper feedback and skills to be successful in their role. The caddy process is deemed more efficient than the traditional hierarchical model. When an employee joins the company, he/she is assigned a caddy for a period of six months. After that period, an employee may decide to change caddy any time. A discussion between the golfer and the new caddy is required to identify the expectations of each party and determine if the match is possible and desirable. Preparing the salary revisions and making recommendations. “I am unwavering in the success of each of my players, my caddy and the caddy team”. Because people are the most important asset of the organization. Their development is linked to the success of the organization. The Caddy process is based on trust and respect. It is a relationship of support and coaching without direct authority. The Caddy is a humble person with great listening capabilities. He has the courage to confront the person if necessary and the wisdom to do so in respect of the person. Above all, he shares a common goal with his golfers: the professional success and development of the latter. The Caddying is one of the most important roles in the organization and he is recognized as such, encouraged and valued by the organization. The Caddy process has a significant positive impact on the development of the golfer. This is not a traditional post. At least, not for me in the context of this blog but I am so impressed with the Summer Camp (Camp de jour du College Gerald-Godin) my kids are attending that I couldn’t keep it to myself. As a parent, I want my children to develop their body and mind and have fun in a safe and stimulating environment. Sportmax has it all. Every night at dinner, the kids can’t stop telling us about their day, their friends and their monitors. The day goes by so fast they tell us! One more thing, the monitors who take care of the children have high energy, they are smiling every time I see them and they seem to enjoy their work. That’s a winning combination – some organizations I work with could grow their business if their employees were as involved as the camp monitors are. Thanks to everyone at the camp who are making my kids’ summer such a great experience.